My first ten days Nepal. 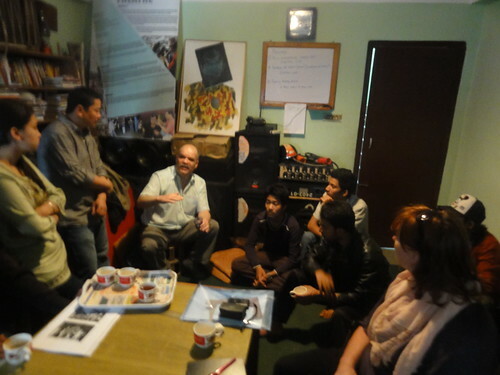 A working visit for TWIST international, a network organisation for theatre and community theatre. 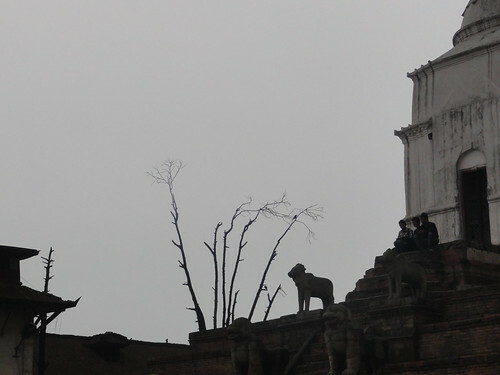 Ten days listening to people who are working there for more that 10 years, talking to artists born in Katmandu or in the remote mountain areas. Seeing their theatre shows in small theatres but manly outside in the streets. Nepal, one of the poorest countries in the world, was never colonised and is still in a peace process after a civil war between the Maoists and the Royal family. A war that ended in 2006. Some say the war is still on. Some people say the social glue is disappearing. A female sexworker of 12 years old says that I am a rotten spoiled fruit when I smile to her. Nepal is flooded by a tsunami of western donors, Care, UN Women, Safe the Children, Oxfam and many more. 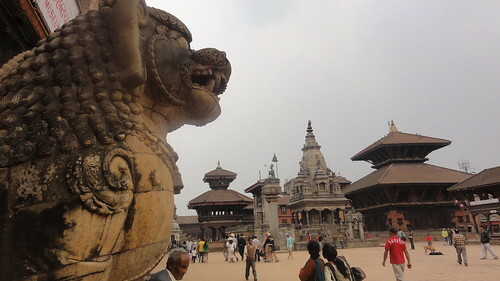 A well known Nepalese writer tells us: “You need to have some grey matter in your western head to say something about Nepal.” She talks a lot. I don’t even dare to ask a question. “You also should be critical about the donors,”she continues. “Donors have money and talk in a special language you need to understand if you need their money. Words like empowerment, behavioural change, trafficking, dislocation of society, sustainability and natural resource management are a mantra. Some street theatre groups listen very well to these words and use them in their proposals and shows. It pays well but it doesn’t work.” She lectures on and we listen.”Street theatre it is very popular. 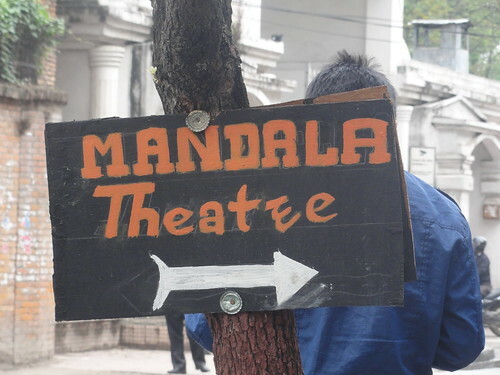 There has always been theatre in Nepal, in religious festivals, singing minstrels in the mountains or satirical comedy on television. 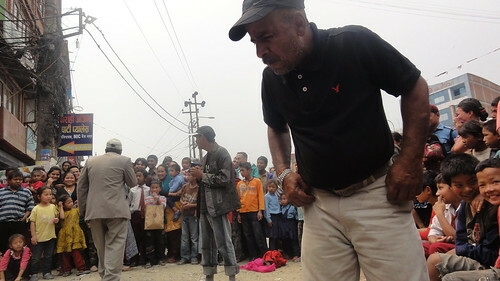 Nepalese like theatre they like comedy and farce they like to laugh. But since donor language and their messages find their way to theatre it is often not funny any more and people are bored. Any how it pays well. Actors take a deep breath, go with full lungs and cash the money.” She is only warning us, she says with a deep voice. We nod and make notes. I am not alone in Nepal. There is Tulasa who is married with Bas, living in Nepal for 30 years. 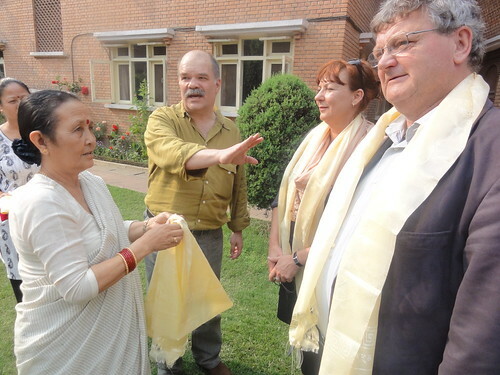 They make appointments for us with members of parlement, a secretary of state and the critical cultural elite in Katmandu like the famous Kanak Dixit and his brother Dr. Kunda Dixit. I didn’t travel alone to Nepal. Rob, an expert on Nepalese development and 30 years ago the first Dutch consul, travels with me. And ofcourse José who has been my assistant for more than 12 years. 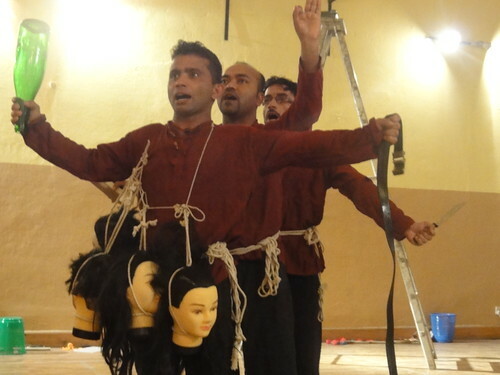 The five of us dive in the Nepalese theatre industry. With our driver Ram Ram we battle everyday the traffic in Katmandu. Discuss our experiences, and are getting more and more confused. I know that confusion is part of the process but sometimes it is scary. Only when you can get rid of your judgements there is space for something new. Finally we find that ‘new thing’ in the theatre work and personalities of Sunil Pokharel, Anup Baral, Rajan Khatiwada and Ram Babu Regmi. 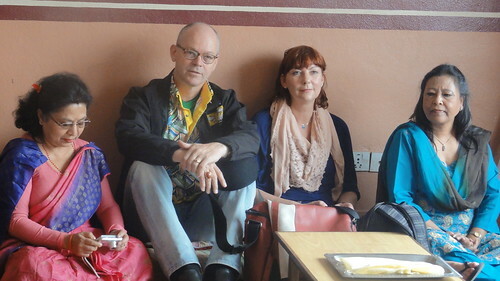 Four inspiring personalities who try to redefine theatre in their own way. Who are not impressing us with what they are good in and already know, but share their never ending struggle: artistic innovation. That is needed before they can contribute a little to the missions of the donors and the programmes that might help Nepal developing themselves. 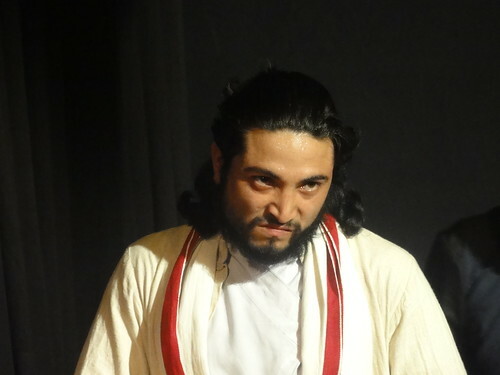 Artistic innovation of theatre always comes from inspiration by social change. Sometimes you have to go far away to redefine why you are a theatre director yourself. My culture shock is comming back to the Netherlands realisering that I don’t want to be a spoiled rotten artistic fruit (To be continued).